Hair oils. Ever heard of them? Of course you have. I have been a massive fan of hair oils since their very beginning and I have seen the good, the bad and the down right ugly. 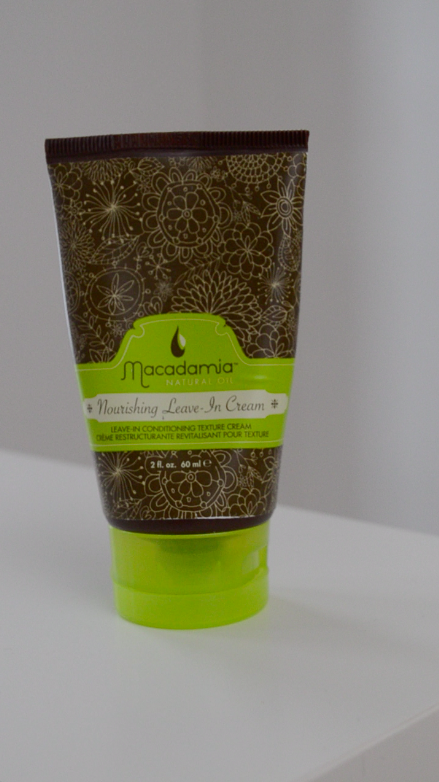 Macadamia has always been one of my favorite hair oils and from that stemmed a curiosity to try out other products from their range. The 'Nourishing Leave-In Cream' does not claim to do anything miraculous, and I admire that about it. Products that say to be 20 in one and last 50 hours (okay, I exaggerate) annoy me. The product claims to "Detangles and tames the most unruly locks. Adds silky softness and shine. UV protection extends the life of color treatment." This product does just as the name suggests. The application of this product was beautiful. In the hands it is the consistency of a thin lotion. I apply this to my ends and have never received so many compliments. I noticed softer hair when dry and much easier to comb through hair whilst wet. It's a bit painful to initially shell out the $28.00 for the 10 ounce bottle, so if you are weary I recommend getting the travel size and really giving it a go for yourself. The smell alone will have me coming back and repurchasing!